Increasingly today Internet access has become the main means of communications for businesses and people around the globe. No matter how large, small, within any industry, and regardless of business model; a company cannot survive without reliable, fast Internet access. Each and every day companies communicate with prospects, customers and employees via the Internet. Without the internet communications, businesses today just would not be able to sustain or flourish. For these reasons, decisions regarding Internet access are critically important. 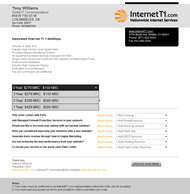 Internet T1 provides a reliable and trusted partner and is available to support all your Internet connection and technology needs. 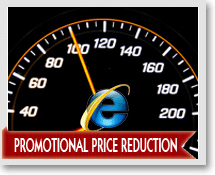 A paradigm shift is occurring once again in the technology industry. To keep costs low and provide increased technology features to customers and internal business functions, services that were once common inside the business, like payment processing, office automation and e-mail, are migrating out of the back office and onto the Internet via architectures like cloud. A more significant reliance on network communications infrastructure is required in order to take advantage of these advanced new features. Communications reliability therefore becomes critical, and Internet T1 can accomplish this very important role. 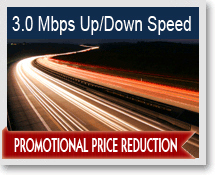 As a reliable partner providing enhanced T1 Internet access for the past several years, customers can rely on this cutting-edge company to provide best in class features at below industry rates for all business internet and T1 Internet connections needs. If you find that no service is available in your area, you may call Internet T1 at (877) 822-5565 to evaluate if other options are available to you. The first step in achieving this goal is designing network operations around the internet along with T1 Internet connections that meet the needs of different size businesses, like 1.5 Mbps, 3.0 Mbps, 4.5 Mbps, and 6.0 Mbps. Businesses select from these packages that include customer support and network monitoring services that ensure reliability. When the business grows, it is easy to scale up to match growth. Next is a customer-hands-off installation philosophy. 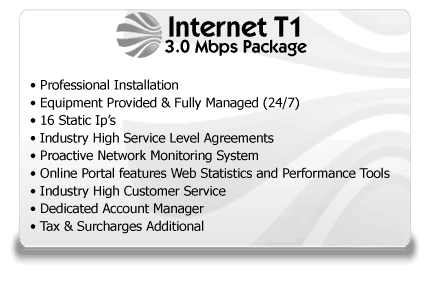 T1 Internet access is the most reliable and garners one of the highest customer satisfaction rates in our business. This begins when the installation is done quickly and by experienced T1 installers. Businesses that follow this pattern have fewer downtime issues and realize the benefits more quickly. 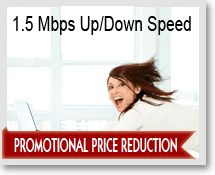 At Internet T1, the philosophy is to embrace the newest in technology with Internet T1 connections and this ultimately helps businesses flourish with the best speeds at the best prices. Best in class requires infrastructure and industry standard telecommunications components with the capacity to carry large amounts of information via T1 Internet access for every size of company and the ability to scale up or down when the demand requires it. A service level agreement (SLA) becomes just as important as the best equipment. A strong SLA with Internet T1, a business-first oriented agreement ensures 99.99% uptime, proactive network monitoring, fail-over options and 24x7/365 customer support for reliable T1 Internet access that doesn’t impede performance, but enables it. Fill out your name and location. If you wish to receive a copy of the quote via email, add your email address. If you wish to have a customer service representative call you, add your phone number. 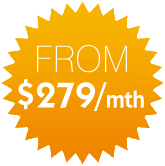 Click the Find Availability button and your quote will generate within seconds.